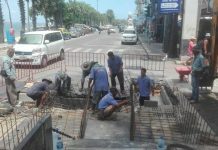 The post between Soi Khopai and Soi Bongkot has been hanging by a thread for a month. 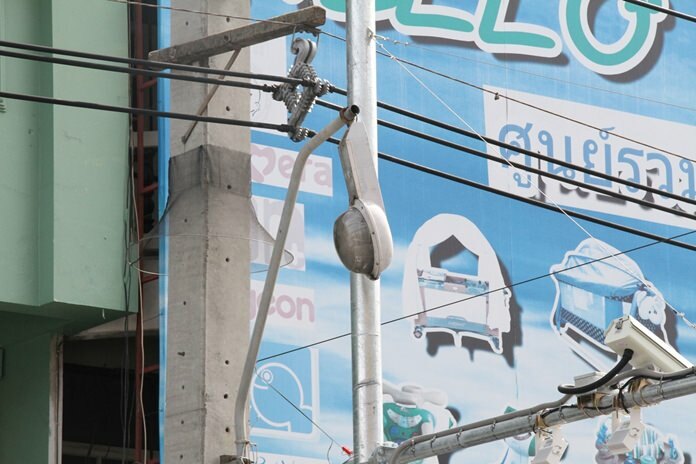 A broken electric pole in South Pattaya has drivers and pedestrians crossing their fingers each time they go by it. The post between Soi Khopai and Soi Bongkot has been hanging by a thread for a month with locals saying it could topple any moment and kill someone. Neighbors want city hall to come out and fix it.